The bustling city of Singapore has got a bit of a reputation for being sterile and bland but just below the surface you will find an exciting melting pot of culture, fine cuisine and of course some of the hottest shopping destinations in the Far East. For a visitor to this exotic part of the world there is plenty happening to keep you entertained for the whole duration of your stay. Whether you are passing through Singapore as part of a tour of south-east Asia or this amazing country is your sole destination, you cannot pass up the opportunity to spend some time exploring the nation’s famous shopping districts. Singapore is fast becoming one of the most renowned places for upmarket goods that carry the hallmark of quality without the high price tag. Just don’t forget your credit cards in Singapore for your shopping spree. There are a multitude of malls and markets that are being given a makeover to cater to this rising trend for artisan goods and exclusive boutiques. 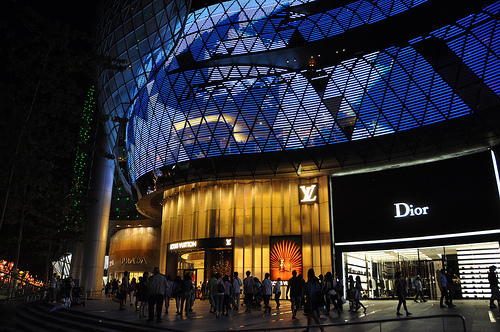 Shopping in Singapore encompasses a whole melange of international tastes and consumer trends. Here are some of the best Singapore shopping hotspots, where you can pick up some bargains and make the most of your cash. Orchard Road is an absolutely massive shopping district with lots of shiny malls and upmarket eateries. If you want to flex your credit cards in Singapore this is the place to do it. It can be a little overwhelming and is certainly not for the fainthearted, but for those who love a bit of retail therapy this shopping Mecca is the place to be. 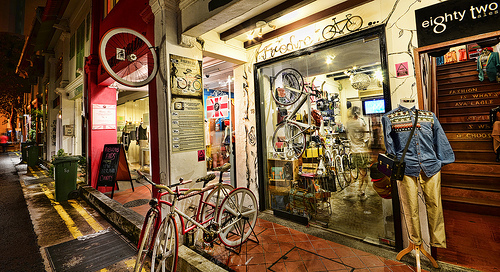 In stark contrast to the bright lights and steel structures of Orchard Road is the hipsters’ paradise of Haji Lane. It is where all the fashionistas head to for exclusive boutiques and original pieces of alternative couture. This small backstreet can be easily overlooked by those who aren’t in the know, but for the discerning shopper who wants to bring home something a bit more unique from their trip Haji Lane is an essential stop on a visit to Singapore. You will also find unique items that are hard to come by anywhere else on the ramshackle streets of Little India. It’s an ideal place for browsing and one of the few places in Singapore where you can still pick up the cheap electronics that the region was once famous for. There are also a wealth of unique handicrafts and textiles to be found here and plenty of street vendors selling delicious traditional Singaporean cuisine. Once the home to a multitude of British army barrack buildings, this area has been regenerated and now has a wealth of fantastic bars and restaurants that nestle alongside the area’s treasure trove of arts and antiques, some of which can be as much as 2000 years old. This is the place to be for the discerning buyer of Asian antiquities and you can find some amazing pieces, from Kashmiri carpets to Indonesian furniture created from recycled wood. 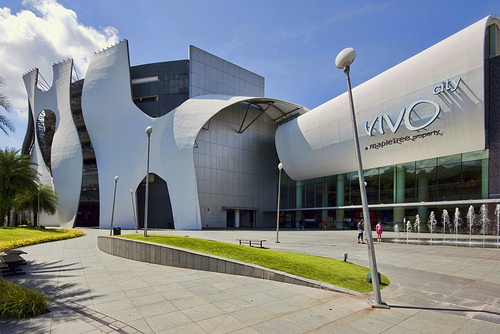 A newer mall that was designed to offer an alternative to Orchard Road, Vivo City offers shoppers an exceptionally pleasant retail experience. There are vast open spaces and plenty of places for the little ones to play, while serious shoppers can purchase just about any kind of consumer item you could imagine. There is also a fine selection of restaurants and you can sample a wide variety of foods while soaking up the sea air on the outdoor seating area.